Special design Spring Hydrangea Wreath with hand-blended hydrangeas, featuring Green with a mix of green and rose-pink artificial hydrangea flowers. 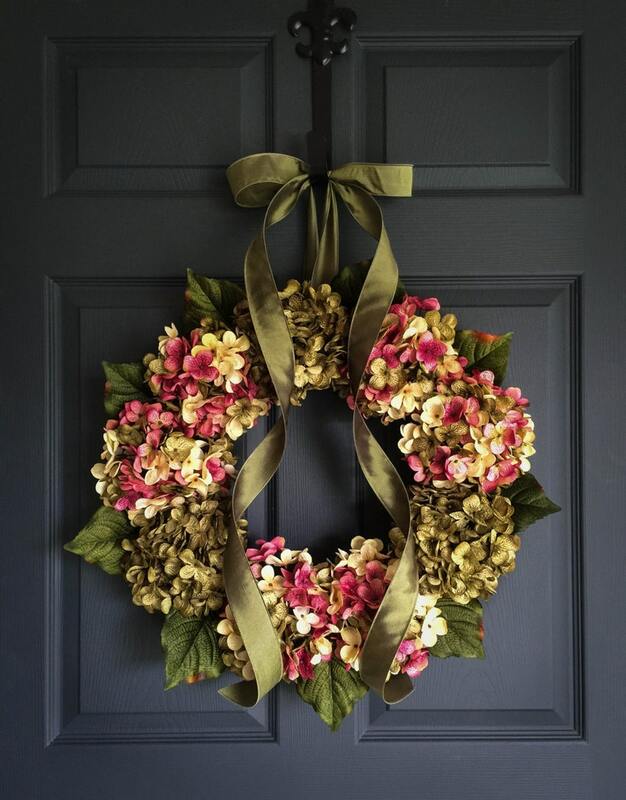 This is a handmade front door wreath using artificial blooms with hydrangea leaves on a natural grapevine base. The wreath is finished with a green ribbon. • 6 Hydrangea wreath measures 15-16" in diameter and 5" deep. 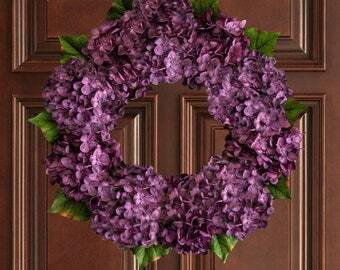 • 9 Hydrangea wreath measures 19-20" in diameter and 5" deep. • 12 Hydrangea wreath measures 22-24" in diameter and 5" deep. Such a stunning wreath! We absolutely LOVE it! Thanks so much! Love my gorgeous spring wreath! Janell packaged it really well and it was perfect out of box! It doesn’t look like the picture. The bow is completely different and the quality is not what I was expecting.